Patrick Ha, MD of UCSF introduces a new unique approach to treating Head & Neck Cancer. With the advent of new technology to aid in operative approaches, to the development of novel treatment medications and diagnostics, to the nuanced design of innovative treatment plans, the management of patients with head and neck cancer has become increasingly complex. At UCSF, our expert multidisciplinary approach to head and neck cancer care delivery includes integrating cutting edge research while always recognizing every patient's unique perspective. Patrick Ha, MD is a Professor and the Chief of Head and Neck Oncologic Surgery in the Department of Otolaryngology – Head and Neck Surgery (OHNS) at the University of California, San Francisco. 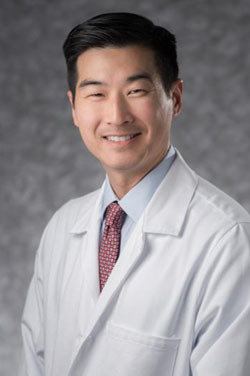 Dr. Ha’s clinical expertise covers the full breadth of head and neck surgery, including a focus on thyroid and parathyroid surgery, as well as endoscopic laser and transoral robotic approaches for throat cancers. His current area of research is focused on the molecular changes occurring in salivary gland adenoid cystic carcinoma, and he has held multiple NIH grants towards this aim, including a current R01 award. In addition, he serves on the editorial board of several journals including Head and Neck and Oral Oncology. He has over 80 published journal articles.